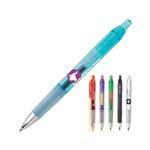 Perfect giveaway pen for banks and credit unions. 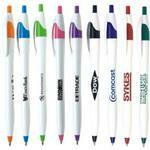 Fraud proof 207 Gel Pen with your custom logo. This unique pen does more than write, it's waterproof ink binds with the paper fibers so it cannot be washed off or removed. 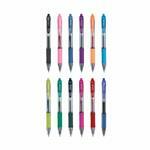 uni-ball brand gel pens. 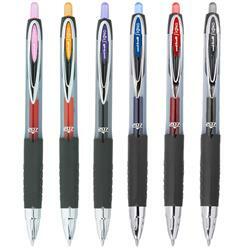 Pen is refillable, 0.7mm tungsten carbide ball delivers a 0.4mm line width, Waterproof, pigment ink.